Freeland is a small town on Whidbey Island, located about 10 miles north of the Clinton ferry dock, making it easy to get to-and-from Seattle and the surrounding area via the Washington State Ferry, while coming home to a picturesque community on the water, tucked between Holmes Harbor and Mutiny Bay. With Freeland waterfront real estate you can look forward to enjoying more sun, thanks to Freeland and the island being in the rain shadow of the Olympic Mountains. More sunshine for enjoy activities like nature walks, bird watching for bald eagles, herons and many other species, kayaking, fishing, crabbing and more. 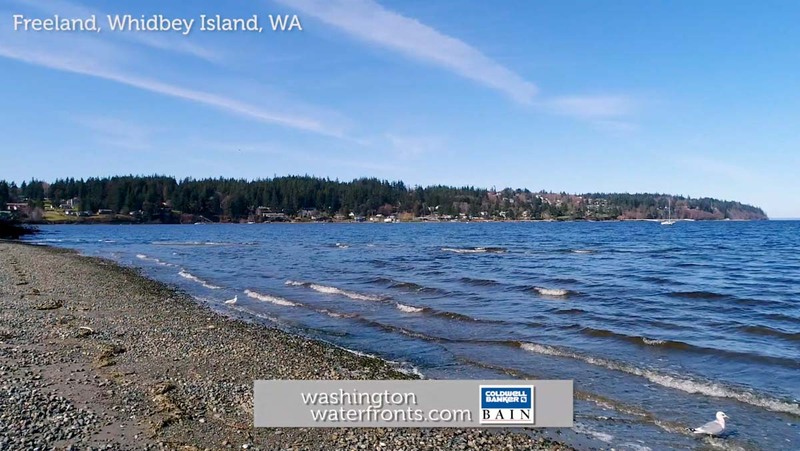 While Freeland waterfront real estate often means being able to boat or fish right from your own yard, nearby Freeland Park offers beach access, a boat ramp and boat moorage, as well as a popular Fourth of July fireworks celebration. South Whidbey Island State Park also provides beach access and forested trails for hiking, and golfers can tee off just minutes away at Holmes Harbor Golf Course, an 18-hole course with beautiful harbor views. Freeland was named based on its origins as an asocialist commune in the early 1900s, with the idea of building a utopian society. While owning Freeland waterfront real estate may feel like owning a slice of utopia, you won’t find any free property today, but you will find a community that exists more for the locals than tourists, with small, independent business that offer old- fashioned value. A number of grocery stores, markets, cafes and eateries are scattered throughout the area, with more big-name retailers, entertainment and other attractions easily accessed in Coupeville and Oak Harbor on the north end of the island. Freeland waterfront real estate includes some incredible homes, allowing you to dream as big as you’d like, with the chance to perhaps kick back on your waterfront deck, enjoy access to a sandy beach, along with stunning water, mountain and sunset views. Take advantage of our industry-leading tools to make your property search as easy as possible and be sure to register for a FREE account so that you can receive email alerts whenever new Freeland real estate for sale hits the market. If you’re seeking to sell your Freeland property, contact our Waterfront Specialists directly for a comprehensive listing analysis and to learn more about the cutting-edge marketing strategies we’ll use to sell your home quickly for top dollar!